Speak with a music strategist and discover how to grow your business with music and mobile. 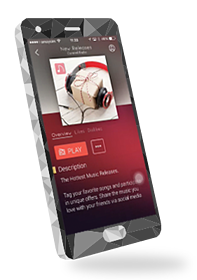 Untap the potential of brand recognition and customer loyalty that music and mobile combined, can provide your business today. Tuned Global can help you build your brand with the #PowerofMusic. As soon as we hear from you, we’ll be in touch for a quick discussion!